The dominoes continue to fall in the UFC’s crusade for a cleaner sport. 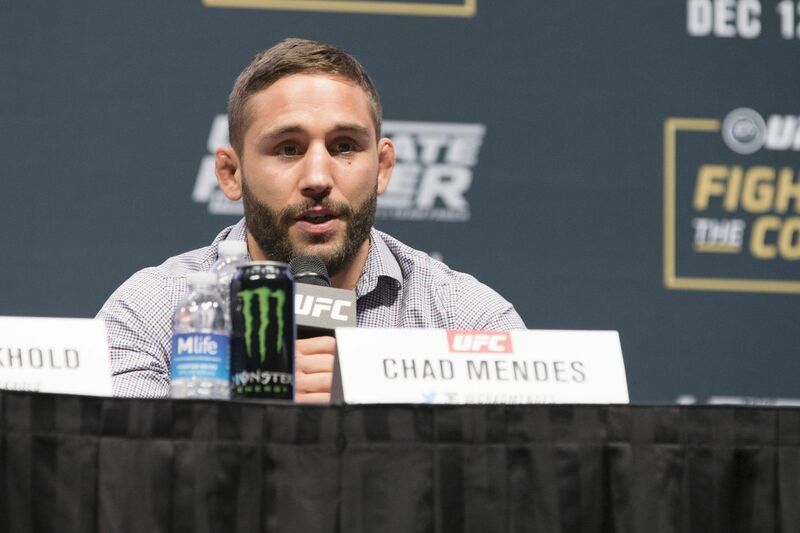 The UFC announced Friday that two-time featherweight title contender Chad Mendes has been flagged for a “potential Anti-Doping Policy violation” stemming from an out-of-competition drug test collected by the United States Anti-Doping Agency (USADA). The UFC did not specify the nature of the banned substance found in Mendes’ sample. Mendes, 31, is currently the No. 4 ranked featherweight in the UFC’s media-generated rankings. He has been out of action since Dec. 2015, when he suffered a first-round knockout loss at the hands of Frankie Edgar at The Ultimate Fighter 22 Finale. The UFC’s statement can be read below. Mendes (17-4) has twice fought for the UFC featherweight title, losing to former longtime champion Jose Aldo via first-round knockout in 2012, then falling short via decision in a highly competitive rematch in 2014. While Mendes holds a sterling 12-4 record in his time under the WEC/UFC banner, he has struggled of late, dropping three of his last four contests including a failed bid for the interim UFC featherweight title against Conor McGregor at UFC 189.